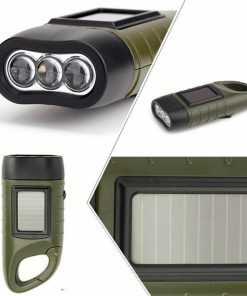 This environmentally friendly product, the 3 LED Powerful Solar Hand Cranked Dynamo Flashlight is ideal for any location and situation. Have it in your pocket, bag, pouch, use it for camping, picnics, festivals. Get your 3 LED Solar Hand Cranked Dynamo Flashlight Here. Order it today. in your outdoor excursions. Suitable for near and medium lighting, with the light touch, long life, low noise, high-efficiency operation. There’s no need for an extra battery. It’s even waterproof, for your unexpected maintenance in bad weather. Size: 6.33 x 4.33 x 4.33 in. Battery – With built-in rechargeable lithium battery, so you don’t need to, but and use external batteries. Flashlight – Compact, small, and portable, it’s the perfect tool for outdoors use. It’s your light guide in the dark when you have an evening run outside or play with kids in the backyard at night. Simply store it in the toolbox of your RV, car, boat, bike. Be sure to place it in your emergency kit. Power bank – The device also works as a power bank phone charger, though you may need the necessary cable or adapter for your mobile phone. LED bulbs – With high tech, ultra-bright, 3 LED bulb, you can be assured of having a high-intensity light for many uses. Turn on bright LED lights with side press button, then choose the lamp brightness. It’s as durable for a lifetime, with operation life that can last up to 100,000 hours, with no need to replace bulbs. Eco-friendly – The product is environment-friendly, it’s an energy-saving flashlight powered by sunlight and hand cranking, so no toxic batteries to throw away. Design – With modern, comfortable, lightweight, and stylish design. With user-friendly operation, the wind-up handle neatly folds away when not in use. The solar panel is prominently positioned for exposure to the sunlight. Charging – You can power it using the two renewable energy sources. 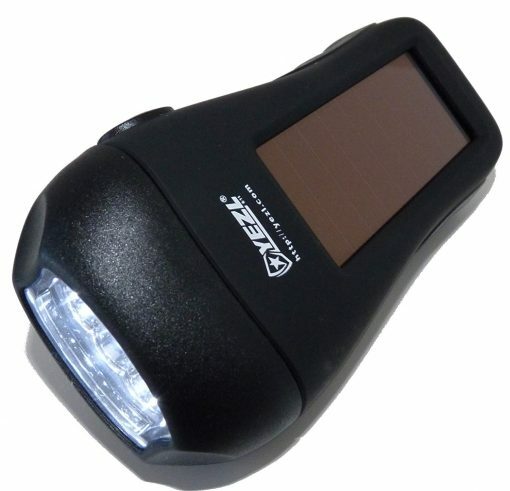 Just recharge the flashlight by solar or by hand cranking using the handle. This 3 LED Solar Hand Cranked Dynamo Flashlight is a handy multi-function torch, so you won’t be stuck in the dark ever again. Generate the light and power you need any time. You can just leave the device under the sun to charge, it will be ready for use in no time. 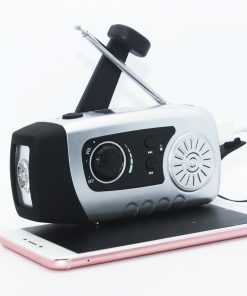 An ideal tool for emergencies situations like power outages, so you have the freedom of mobile light when you need it. It can recharge with power with the built-in solar panel. After only 1 hour exposure to sun, it can provide at least 3 hours of light once using 3 LED lights. If you just use 1 LED light, you can have as much as 9 hours of light. The crank dynamo function using the wind-up handle located at the back of the torch, where it moves in 360 degrees rotation. Every winding for one minute can store around 6 minutes of light using the 3 LED lights or as much as 20 minutes of light using just 1 LED light. This can also be used as an emergency charger for phones or mobile devices. However, take note of the proprietary software on your smartphones if it accepts power bank charging). The dynamo can provide 4-5 volts DC charge using the USB cable, though you may need the specific adaptor of your mobile phone. An approximate three minutes of cranking can bring 5-8 minutes of talk time on your phone, which should be sufficient time to make an important call if the phone loses its charge. Since it has a waterproof casing, it means that you can use it in bad weather conditions. This fits perfectly in your hand, so you can easily be placed in your jeans or shorts pocket or just tuck it in your bag. 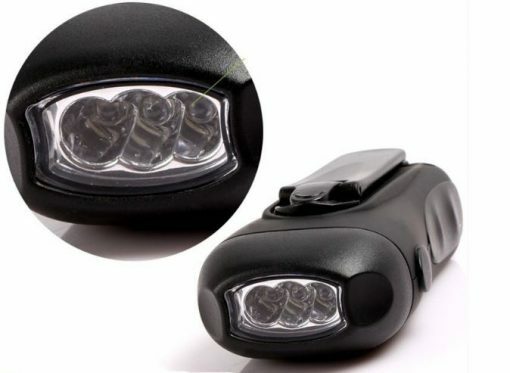 Having this high-quality, sturdy, solar flashlight is an important item for any household. Your family’s safety should be a priority. 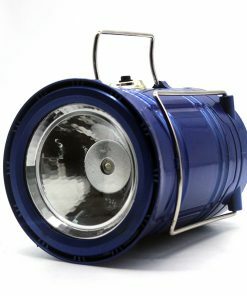 Order your 3 LED Solar Hand Cranked Dynamo Flashlight Here. Get it here! Welcome to AgreenOrigin.com! We help you find all your solar needs. Check out our different variety of solar products.